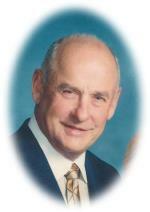 Thomas Hagler, Jr. (BME '52) entered into eternal rest June 25, 2013 in Augusta, GA. Upon graduating from Georgia Tech, Tom entered the U.S. Air Force. Tom started his career in 1956 with Georgia Iron Works Co. (GIW) and as Cheif Engineer, he and his brother, Danny, developed the first hydraulic slide rule used to perform slurry pump and pipeline calculations. The GIW Hydraulic Slide Rule now resides in the Smithsonian Institute in Washington, D.C.
Read Thomas Hagler, Jr.'s obituary.